Bring casual comfort into your home with this reclining sofa. 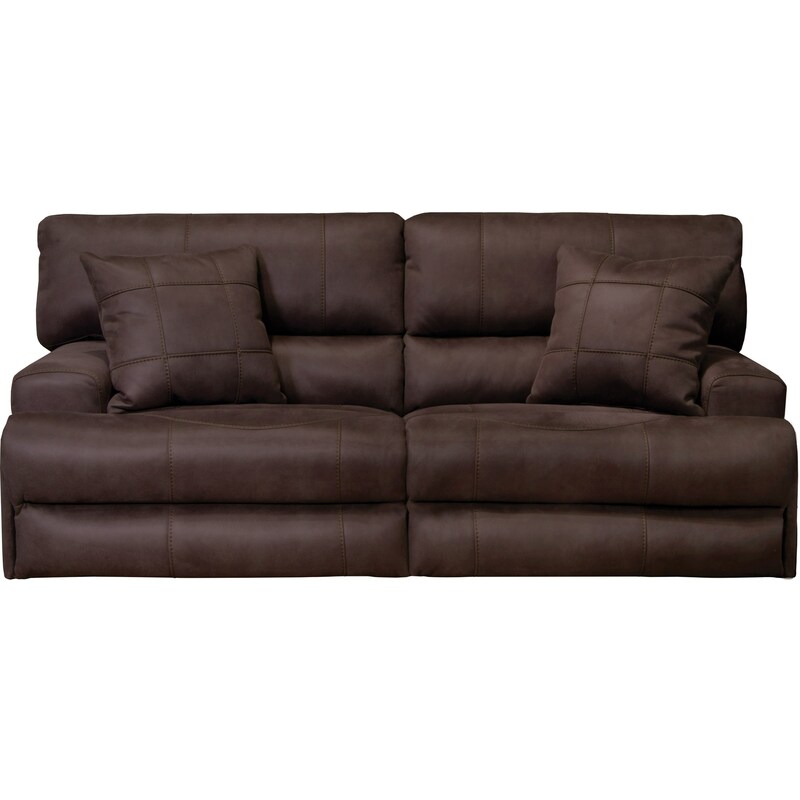 This two-seat piece features lay-flat recline with lumbar support for the ultimate in comfort. This item includes power recline technology and power headrests. The Monaco Power Headrest, Lay-Flat Reclining Sofa with Lumbar by Catnapper at Miskelly Furniture in the Jackson, Pearl, Madison, Ridgeland, Flowood Mississippi area. Product availability may vary. Contact us for the most current availability on this product. Place this reclining furniture collection in your family room for a casual look. This collection includes a reclining sofa, console loveseat, recliner and an (un-pictured) reclining loveseat. Each piece comes in standard recline and power recline options. The Monaco collection is a great option if you are looking for Casual furniture in the Jackson, Pearl, Madison, Ridgeland, Flowood Mississippi area. Browse other items in the Monaco collection from Miskelly Furniture in the Jackson, Pearl, Madison, Ridgeland, Flowood Mississippi area.